Gain insights into your sales pipeline, discover your most promising leads, and uncover your top opportunites. 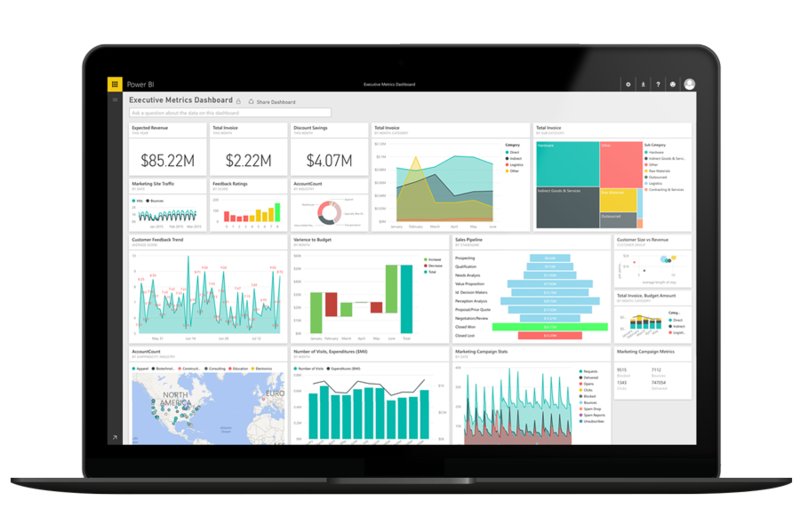 Power BI helps you identify opportunities on a single dashboard. Analyze your pipeline or view your sales across a variety of metrics to gain actionable insights. Out-of-the-box workbooks provide visuals on key metrics such as customer engagement. Understand case analysis by type, priority and geography. Analyze service performance on number of cases, resolution rate, level of priority and more. Drill down into each top level chart to understand specifics of metrics such as account, leads, revenue and service. Customize these reports to get the information you need.